We developed and supplied our first HUBER Complete Plant ROTAMAT® Ro5 already during the 1980s. Since then hundreds of consulting engineers and operators have selected and installed our Complete Plants because of their reliable operation and low maintenance. Planning and installation of our Complete Plants is not only quick and easy, but also saves considerable construction costs. 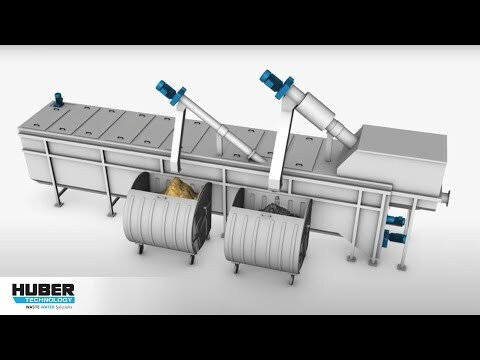 A separate HUBER Screenings Wash Press WAP® is usually installed behind a Step Screen®. The grit channels of our ROTAMAT® Complete Plants are designed in accordance with international standards or the customer’s specific requirements. The grit channels are availabe as aerated or optionally unaerated units. The selection of the grit channel type (aerated or unaerated) depends on various criteria, such as the storm/dry weather flow ratio or whether further grit treatment systems are planned.